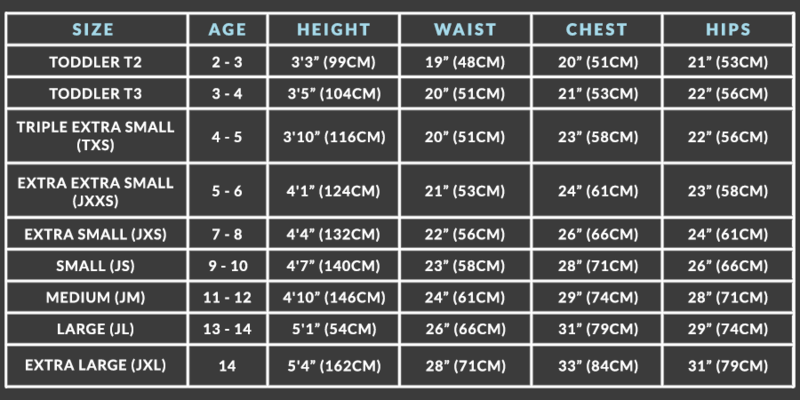 Choosing the right wetsuit for your child may be a complex procedure, in order to protect your little ones from the cold water you must find the right suit for the right conditions and temperatures. 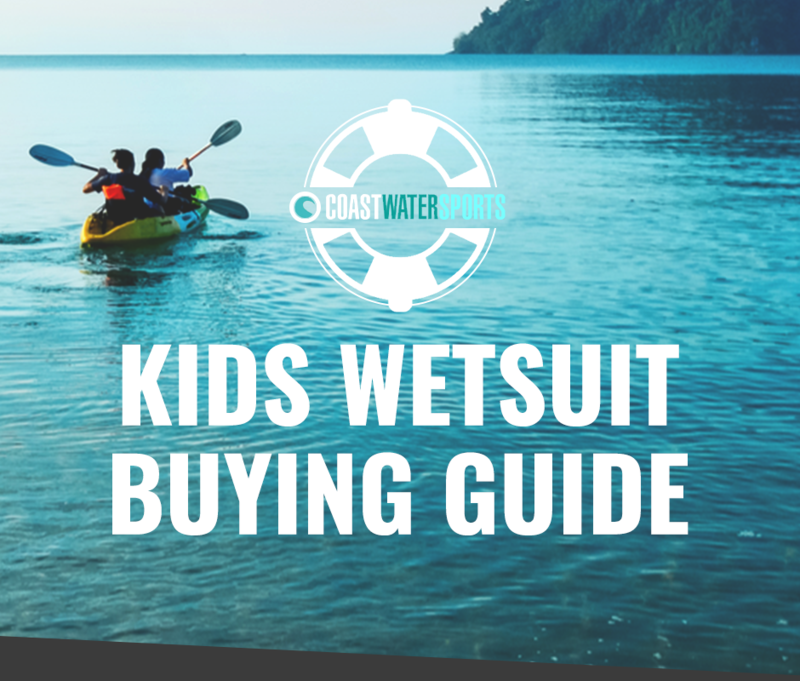 Here at Coast Water Sports we have put together a kids wetsuit buying guide to make your shopping smoother than the calm ocean. Summer can be a joyful time of the year for those smooth waters. If you are interested in taking your child sailing, kayaking and various other water sports, then choosing the right wetsuit is key. Finding the right suit is extremely key to extending the time you will be able to spend on or in the water before your child gets cold. 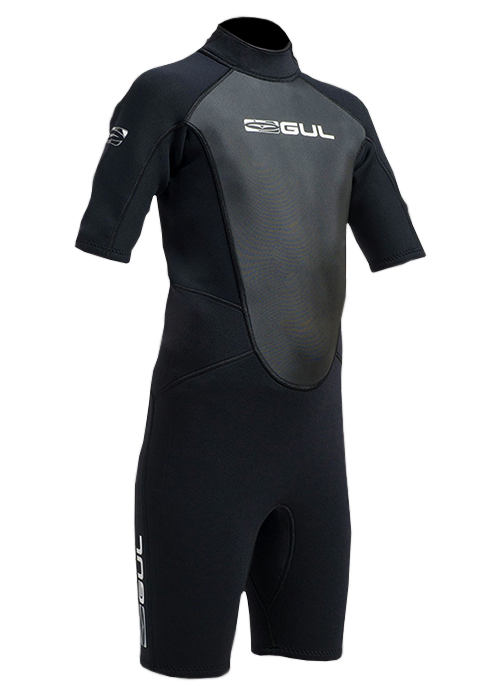 Wetsuits are typically made using a combination of different neoprene thickness, stretchy rubber compound and are available in a variety of millimetres. Flexibility is extremely important when partaking in water sport activities and this is why wetsuits target specific areas of the body which are in need of extra flexibility. 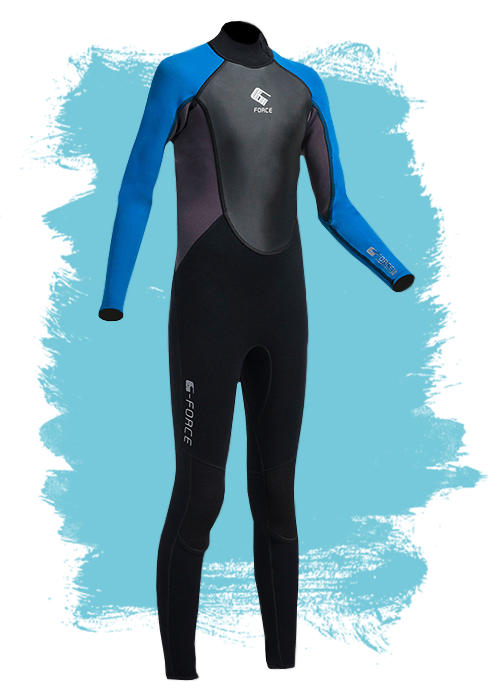 Alternatively, in the height of summer, kids shorty wetsuits can be worn, these are mostly worn in warm water with temperatures ranging between 16 – 20 degrees. Shorty wetsuits maintain heat in the body's core as well as the upper arms and legs. summer wetsuits are especially made based on the temperature outdoors. Kids summer wetsuits are usually 3mm with flatlock stitching. Flatlock means that the seams of the wetsuit are simply butted together and stitched over. This method will still allow a fair bit of water to pass through (flushing). An upgrade to this would be a GBS wetsuit. GBS Stands for Glued and Blind Stitched. This means that the seams are glued together and then stitched, but the stitching only goes 50% of the way through the neoprene. This results in a waterproof seam so the suit will have less flushing and keep the water warmed up by your childs body in. 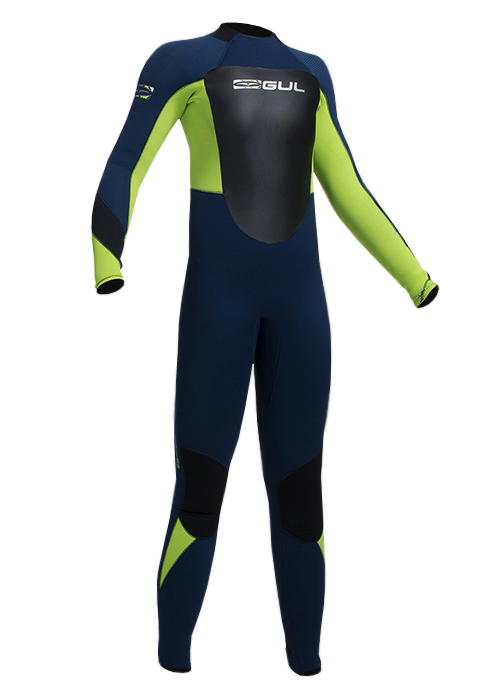 However, if your child suffers the cold then a 4mm suit might also be worth considering as a summer wetsuit. Suits of this thickness would almost always be GBS. The winter breeze and ocean front can be a painful experience if you are not fully protected in terms of water sports clothing. 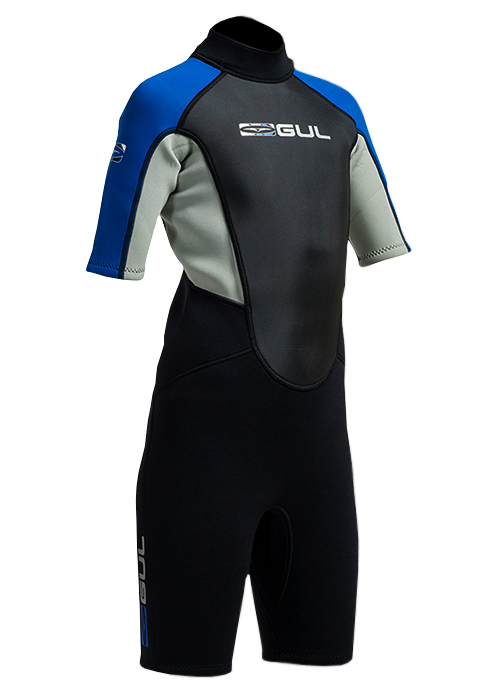 For the end of summer and beginning of autumn, kids winter wetsuits are typically worn. Those of which are made in a 4/3mm neoprene combination which means that arms and legs are constructed with a more stretchy 3mm neoprene for extra flexibility. The core is then covered with 4mm neoprene to ensure maximum warmth. A lot of children would be happy to wear a 4mm wetsuit throughout the summer months, so this could be a wise choice to maximise use and limit the amount of wetsuits required. When the warmth well and truly ceases to exist, extra protection for children and juniors is key! 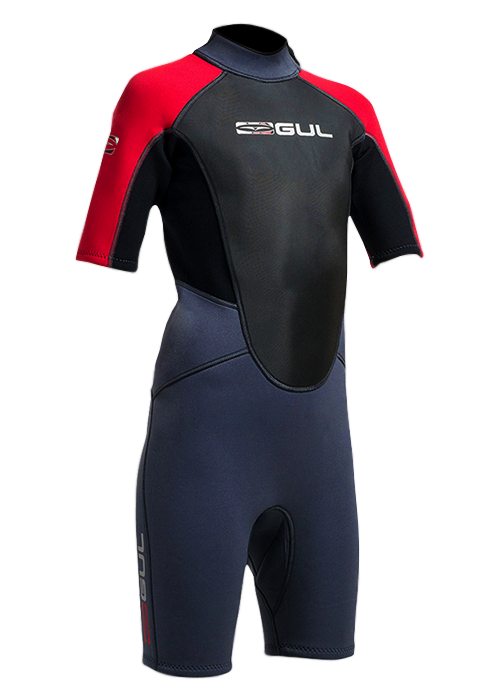 5mm wetsuits give you the protection you need from very low water temperatures. The 5mm neoprene will protect your child's core to retain body heat and either 3mm or 4mm for the limbs. The only downside with 5mm suits is that they are not as stretchy as thinner 4 or 3mm wetsuits, so they are a lot more difficult to get on to smaller children and nigh on impossible on one of 4 years of age or younger. Children will definitely feel a difference in flexibility but some times this is the price to pay in order to keep all the water at bay and ensure greater insulation. Please keep in mind that fitting a wetsuit on a child is quite often a compromise. Some children grow out and not up, others up and not out. The suit needs to fit around the body, so sometimes that might mean its too long. If you are looking for additional clothing for your child why not browse our kids rash guards & vests or childrens sun suits. For an amazing choice range, visit the Coast Water Sports website today! This entry was posted in Whats been going on! on January 15, 2018 by Dave Stubbs.